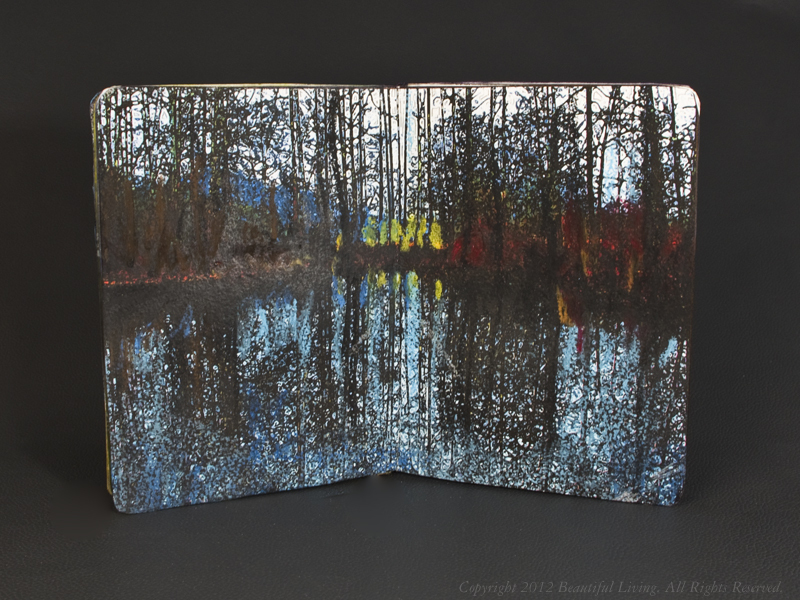 Journaling Arts | Exploring Journals as a Creative Tools. Image copyrighted by Sandra Kay Strait. 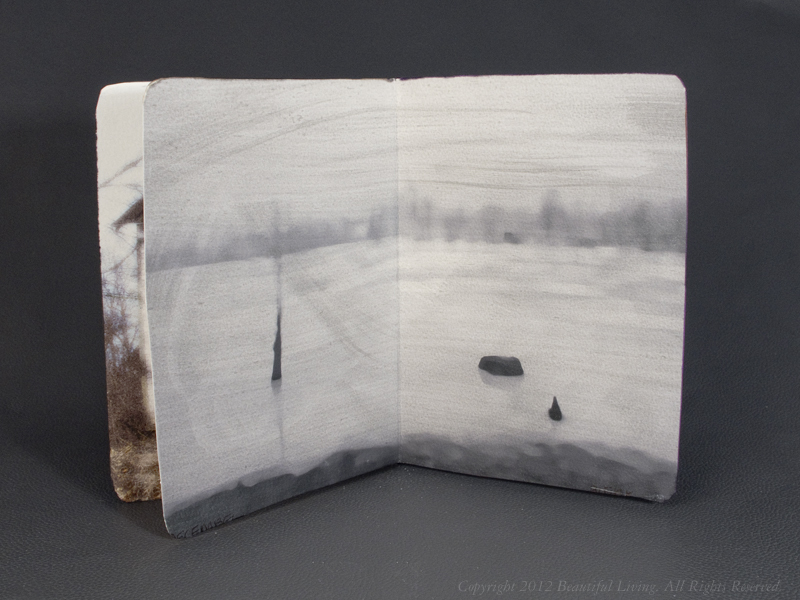 Sandra Strait puts Stillman & Birn’s Zeta, multi media sketchbook paper through its paces. 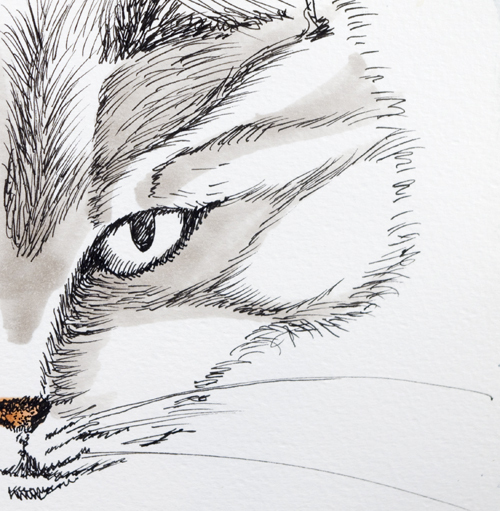 Checkout her thorough review and beautiful illustrations at Life Imitates Doodles. Never tried art journaling, but you’d like to give it a go? Checkout this post by Daisy Yellow, Art Journaling 101. Watch the creation of an Art Journal Page : Follow your dreams from beginning to end at Clips-n-Cuts. 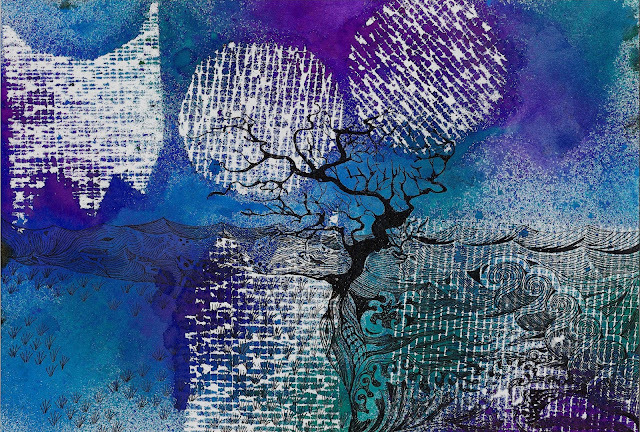 Using an ink drop technique you can easily create textural backgrounds or interesting abstract art. See how it’s done using Quinn’s Ink Technique at Quinn Creative. 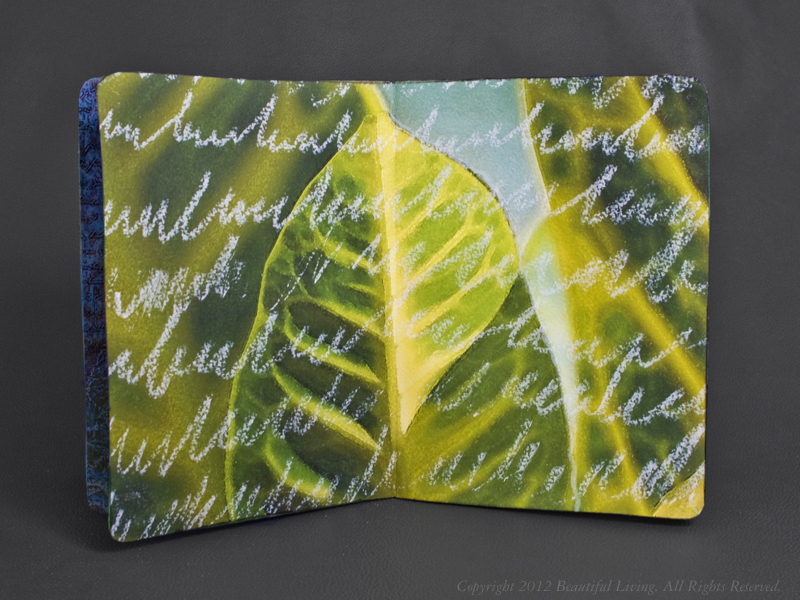 Check out the Write-Now notebook by Poppin Notebook reviewed at The Rants of the Archer. 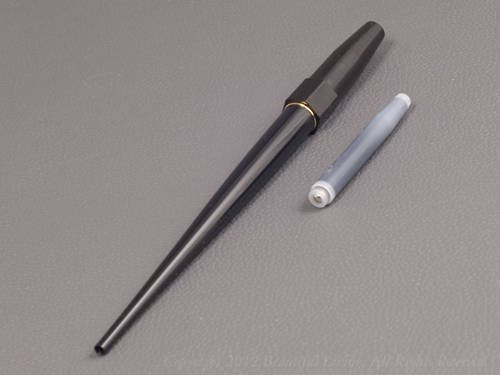 Is this notebook fountain pen friendly, or not? Discover the advantages of using a pocket notebook and a few stand-out notebooks from Jet Pen’s Pocket Notebook Selection Guide. 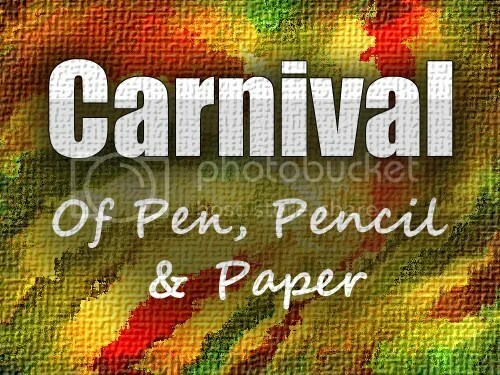 Do you like writing or sketching on loose leaf paper? 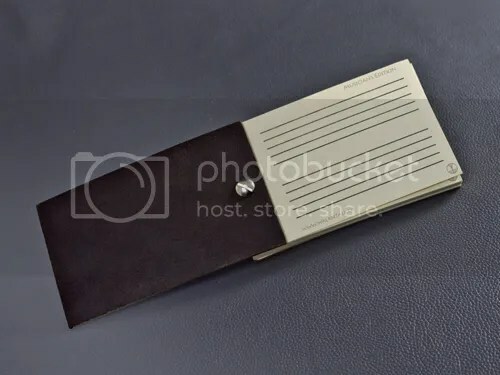 If so,the Daycraft Envelope Folder might be a good alternative to using permanently bound notebooks. Wondering which alcohol-based marker to buy? 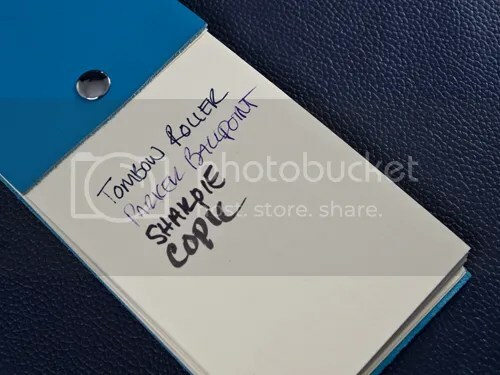 Read this review at Natto Soup which compares Copic vs. Prismacolor markers. After reading this post, you’ll be green with pen envy over the Ken Cavers Green Swirl Acrylic Cigar Fountain pen. If luxurious fountains pen appeal to you, visit Gourmet Pens for a thorough look at Graf Von Faber-Castell Anello Titanium Fountain Pen. Check out this video review of the Monteverde Invincia Grand Prix Pen with a racing inspired design at Goldspot Pens. Would you love to write or sketch with rich, red ink? If so, read this review of Sailor Jentle Grenade ink. Find out which 10 art and writing products Tina loves to hate and why in her review, Tina’s Bottom 10. Take a look at Conway Stewart by Diamine Kingsand Ink, an exclusive fountain pen ink bottles that just arrived on US shores in January 2013. 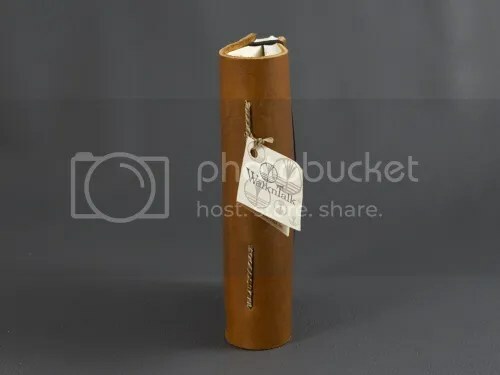 WalknTalk’s Tom Sawyer Journal in a rich brown leather. WalknTalk journals are uniquely designed journals crafted in an old world style. They are handmade in the US with sumptuous high-quality leathers and eco-friendly paper. 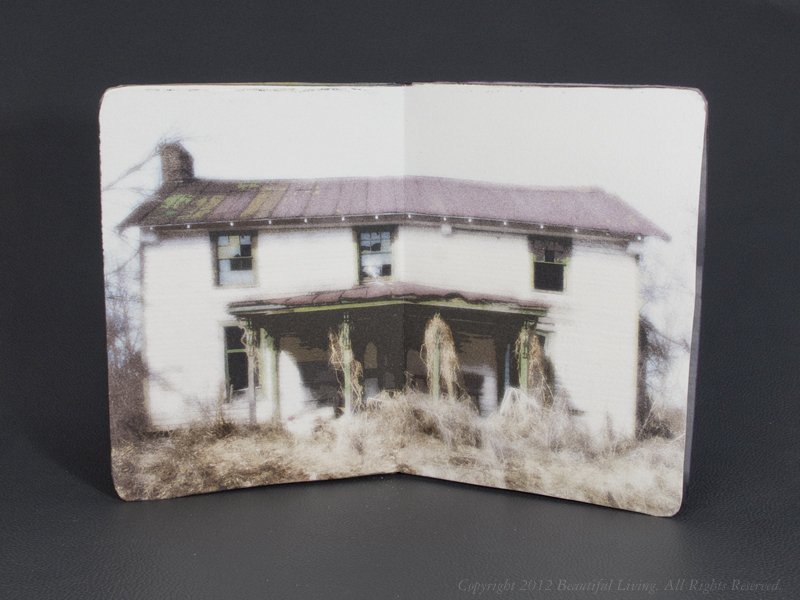 Their designs make a bold statement and are unexpected in the world of journals. 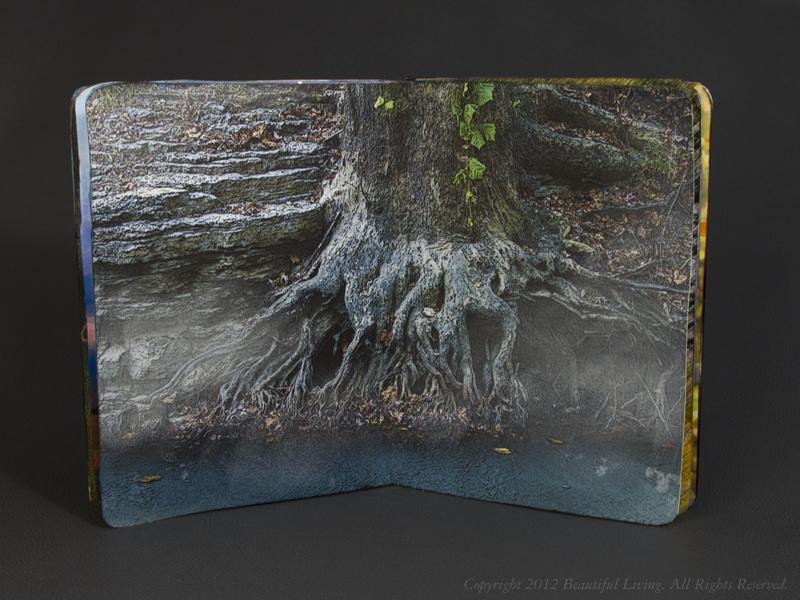 If you are looking for a beautiful, unique journal, read on. 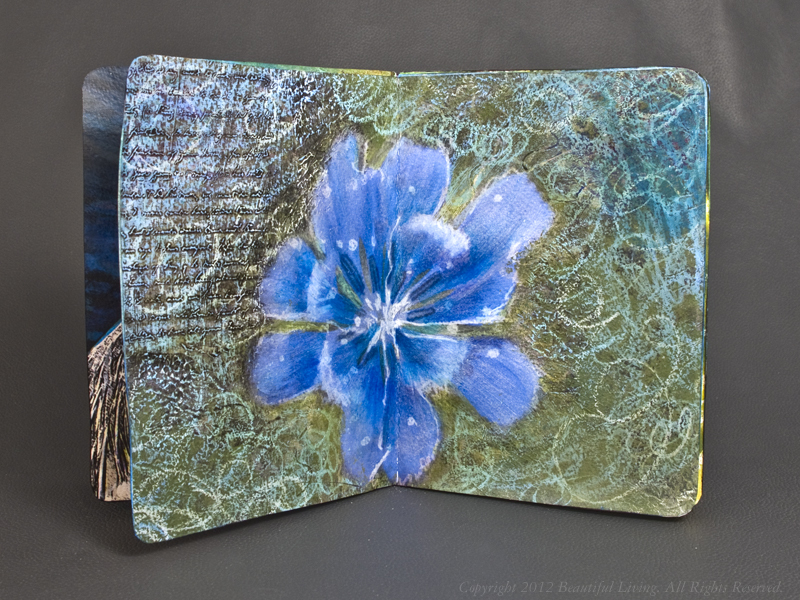 The edges of the pages extend beyond the cover forming a soft point. I have had the opportunity to use WalknTalk’s Tom Sawyer journal for a while and this is what I have discovered. There are a few interesting features with the most obvious being the simple binding. Forty five sheets of unlined paper have been hole punched and sewn into a thick leather cover using a Roman Numeral stitch pattern. This yields ninety pages or 180 sides to write or draw on. 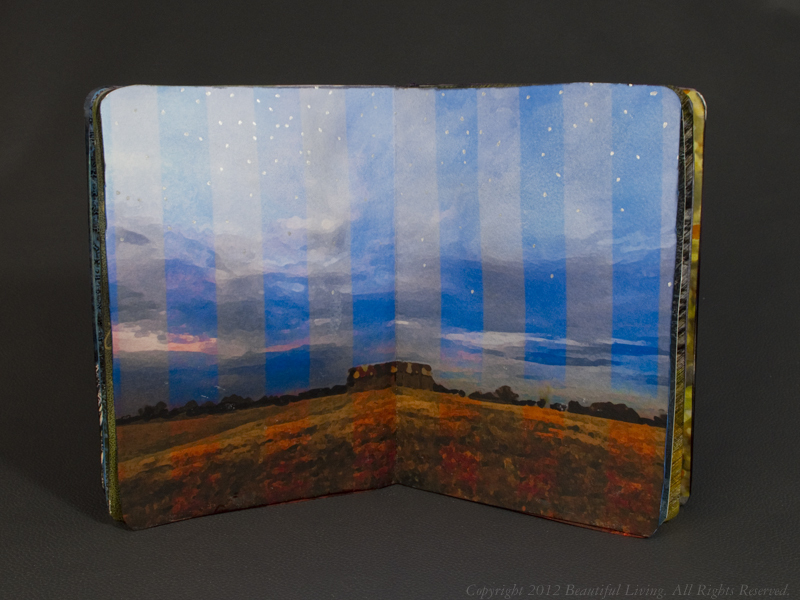 When the journal is folded closed, the pages protrude from the cover into a soft point. 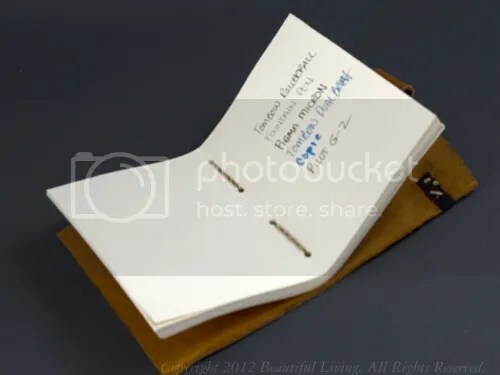 While this makes it easy to find a page in the first half of the journal, it does leave the page edges susceptible to dirt and damage. It also makes it difficult to tuck into a pocket or bag as this edge tends to get hung up on things. 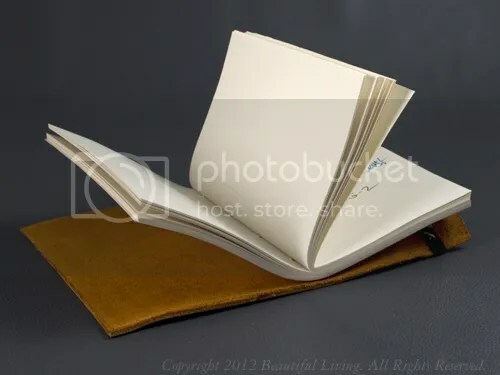 This type of binding does not allow the journal to lie flat when opened unless you are on the center spread, and even then you will need to manipulate it a bit to convince it to flatten out. 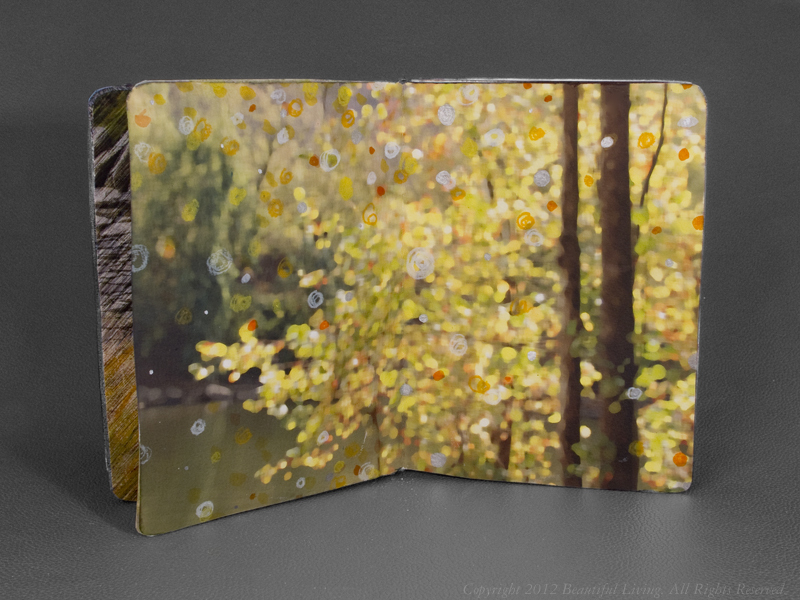 The binding system does not allow the journal pages to lie flat when opened. The center spread almost lays flat when opened. I did find the paper lovely to write on and found it compatible will all but my most difficult pens. 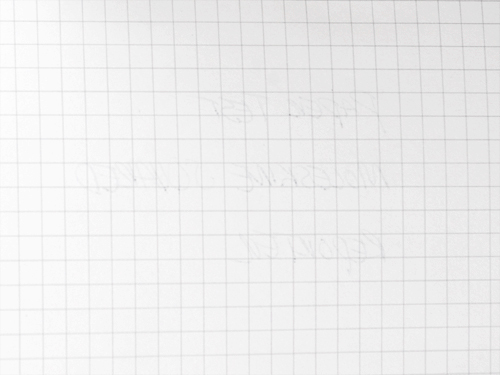 The paper is a thick, eco-friendly vellum, smooth for drawing and writing. It is Rainforest alliance approved (http://www.rainforest-alliance.org/) and meets the Sustainable Forestry Initiative Standard (SFI) (http://www.sfiprogram.org/). 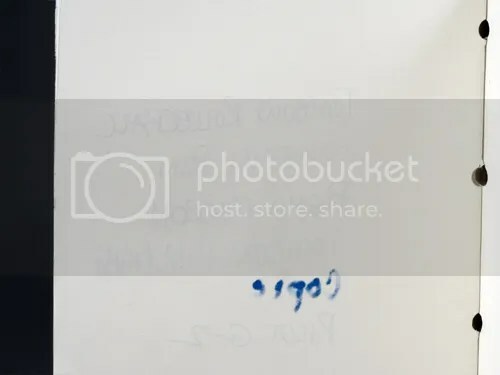 In my pen test, I found that all of my pens performed beautifully with minimal feathering and no bleed through with the exception of a Copic permanent marker, which bled through the back as expected. 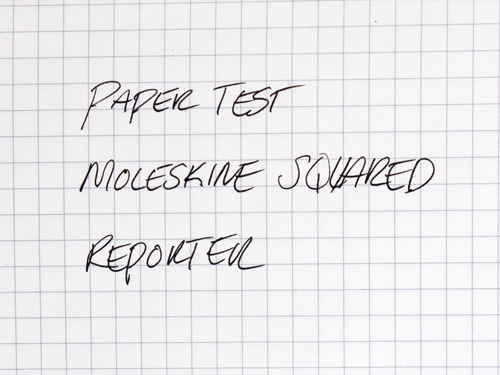 The paper accepted all inks from the ballpoint, rollerball and fountain pens with ease. There was no feathering or bleedthrough. 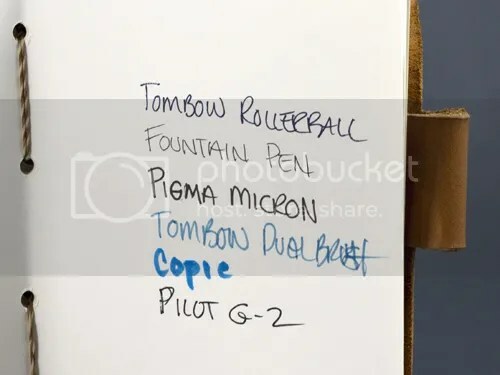 The Tombow watercolor marker performed beautifully, too, but the Copic permanent marker bled through and feathered as expected. The only ink that bled through was from the Copic permanent marker, which was expected. 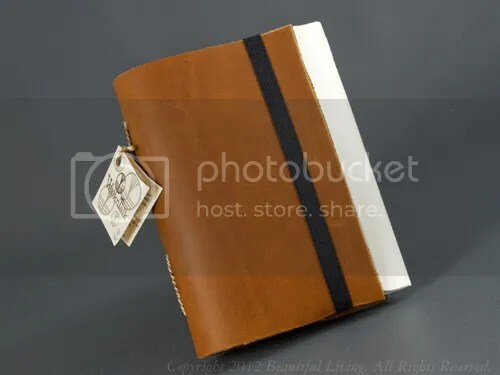 The leather used to make the journal is simply beautiful. It is thick, soft and fragrant. This is my favorite part of the journal. The two-toned, rustic stitching is a nice compliment to the design and seems to be very sturdy. 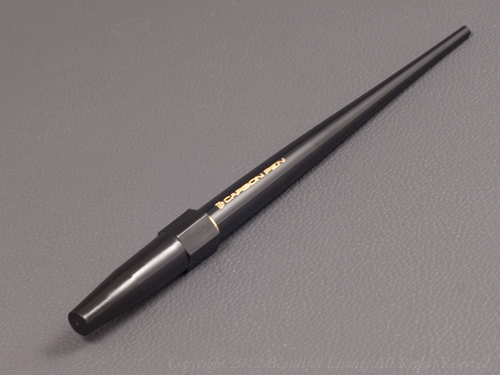 There is a built in pen holder on the back cover of the journal is a nice touch, but I had trouble finding a pen or pencil to use with it because the diameter of the opening would only hold the thinnest pen I own, the Tombow 707 Zoom. Perhaps this would stretch out over time with use, but it is quite tight to begin with. Two-toned stitching contrasts well with the rustic leather. 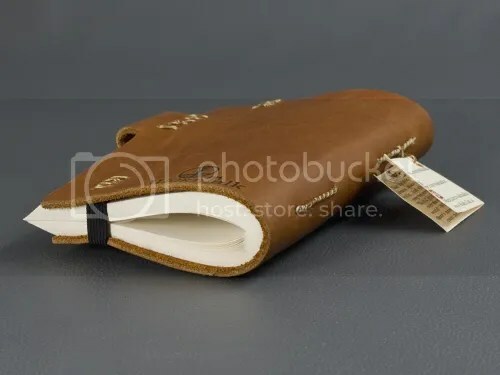 This is a very nice journal with beautiful materials and high-quality construction. Is it my dream journal? Almost, but with a few small changes this would be as functional as it is beautiful. 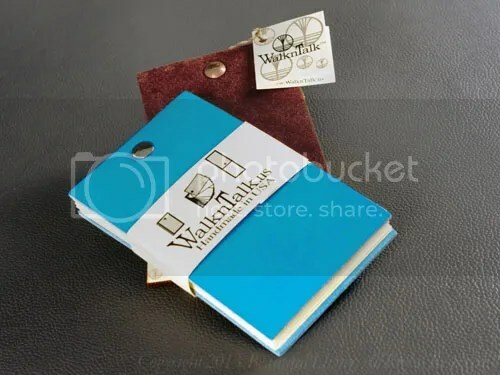 WalknTalk also make other fine journals and pads, including the refillable Infinity Pads which are bound with a nickel-plated screw in the top of the journal which pivots to reveal the pages below. Please visit WalknTalk for more information. 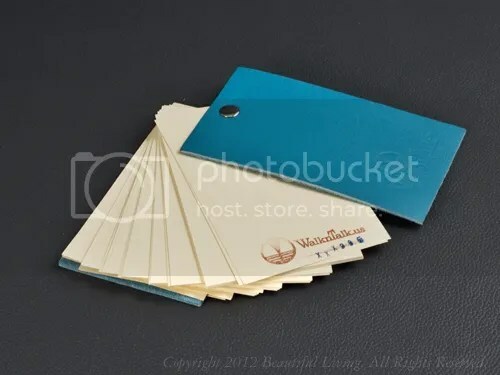 You can order WalknTalk journals directly from their site and at other fine retailers.